An unofficial library for AngularDart and Firebase. Then inject into your app and use. See GoogleSignInComponent below for an example. Displays a rendered sign in box for Google authentication that follows the branding guidelines. NOTE: To use this component, you must have the brand assets in your web/assets directory, or use the [assetPath] property, or the googleSignInAssetPath token at bootstrap time to configure the location of your assets - for example on an external CDN. // Authenticate and allow read-only access to Google Calendar. Fixed a bug that flashed signed off content before loading. Removed a print statement that was always occurring. 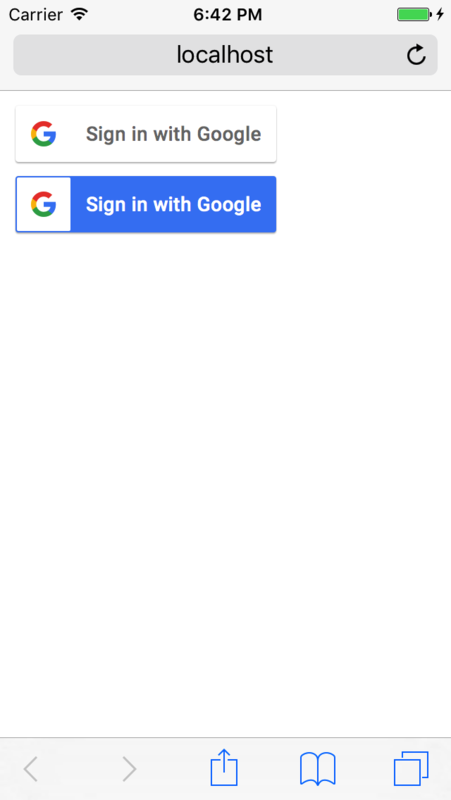 Added a high-level FirebaseAuth class, and Google sign-in. Unofficial library for AngularDart and Firebase.